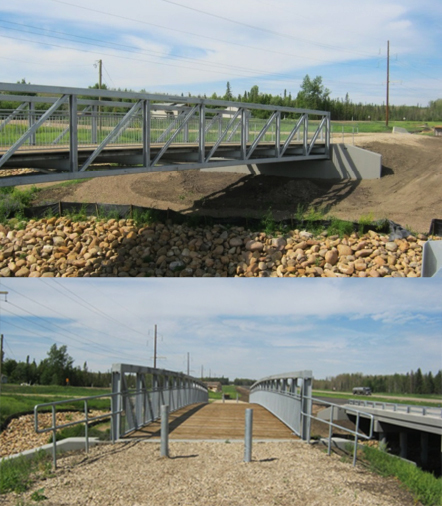 The project is located approximately 15 km west of Valleyview, AB. The project consisted of a new three span pre-stressed concrete girder bridge and a single 40 meter pedestrian bridge with a 4.2 meter clear width. The pedestrian bridge was founded on driven steel h-piles and cast-in-place concrete abutment seats and the deck was constructed with treated timber planks.